Message: Hi Andrew! My name is A.S., I'm from Russia. I'm trying to prepare for CAE and it's quite hard and I don't like this exam :) I think it is more about solving puzzles and guessing vocabulary, so it doesn't evaluate your command of English correctly. Why can't we evaluate it in natural way? For example, a teacher could talk to a student and assess their level through conversation. The same with reading and writing - you could give a text to the student and after reading it he'd be given questions and need to write about the text. It seems that Cambridge certification is more about making money; it's a business. Am I wrong? Zdravstvuyte, A.S.! Thanks for writing. I think your question is really interesting and I've heard students suggest similar things. Here's what I think. One embarrassing story from my teaching career goes like this: I had a new female student and in our first lesson we talked about what she wanted to study, why, etc. She wanted to do Proficiency. She was very cute and full of life and her English seemed really great. Okay! I said, and told her which CPE books I recommended. She went and bought the books (which are incredibly expensive in Switzerland) and did the first chapter at home. In our second lesson, she said 'Um... this is quite hard.' For the first time I heard some little grammar mistakes from her, and based on her answers in the book I realised CPE was above her level. So I suggested we go to Advanced and work on that for 6 months, and then she'd be ready for CPE. She spent silly money buying all the CAE books. Guess what? They were still too hard. As we talked about it, I heard even more grammar mistakes and realised her vocabulary was quite limited. So she had to go and buy the FCE books, and Proficiency was at least two years in the future... The problem was that she was TOO ATTRACTIVE and I over-estimated her ability. Any psychologist will tell you that this is normal, and happens millions of times a day. It's why good-looking idiots get promoted, why talented but short men are rarely chosen as CEO, and why women laugh at the lame jokes of hot guys. It's why teachers shouldn't be directly involved in testing their students! Taking the CAE in Switzerland this year will cost you 390 francs (that's 405 USD, 357 Euro, 265 pounds, 25,000 rubles). Ouch! There are 2,800 centres in 130 countries (not all at Swiss prices, thankfully) so that's a lot of students taking a lot of exams. Then there's the publishing arm - coursebooks and exam practice books for all the Cambridge exams. So, yes, it's big business. But businesses make more money when the product is good. How good is the Cambridge exam 'product'? Is there a better way to test English? I'm not a fan of all parts of the CAE exam (Speaking test part 2 is especially strange). But what is the purpose of a test? It's to come up with a ranking from best student to worst student. And when I give a group of students a CAE test the results are always that the best student has the best grade and the worst student has the worst grade. Always! Give 5 friends a 'sentence transformation' exercise and I guarantee the one who gets the most points is objectively the best at English. So from that point of view, the exam is a success. Employers and universities can rely on it as a very accurate guide to how good someone's English is. That's very useful for both parties. Why is it better than other exams? Partly because Cambridge has enough money to invest in it. The exam you take in 2016 started being created 2 or 3 years before. A reading text gets tested in a classroom in Brazil, then based on how students fare it gets refined and tried again in a classroom in Spain. And so on and so on - by the time it's used in a real exam, Cambridge have a lot of data about how students perform, and they can be sure it's fair. Tricky, but fair. Another thing is that Cambridge have a huge database of things written by students. The Cambridge Learner Corpus (as they call it) has over 40 million words. Cambridge use it to find how often students at different levels make certain mistakes. So they know what to include on their tests. You can imagine how useful this is when creating an exam. So it's international, it's fair, it sorts students according to their ability very accurately. 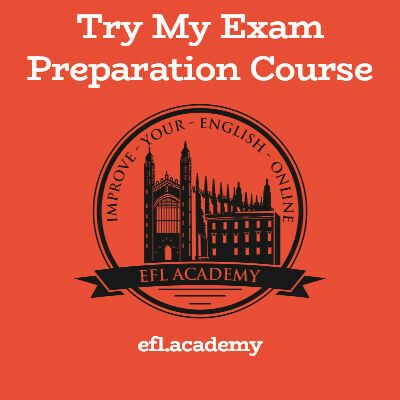 CAE is actually a very good test of English - even though we all sometimes hate it!